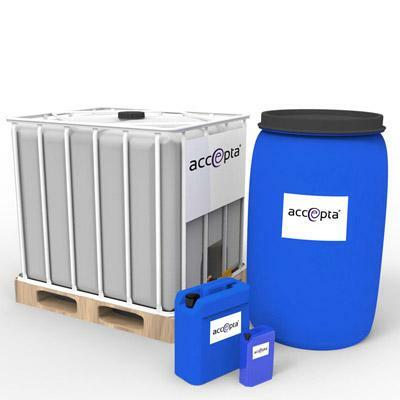 Accepta 2580 is a high performance nitrite free water treatment product scientifically formulated as an alkaline multi-metal corrosion inhibitor developed for the treatment of closed circuit systems. Accepta 2580 is suitable for multi-metal systems including those that contain aluminium. Accepta 2580 comprises a high pH formulation and contains molybdate, borate and silicate. Accepta 2580 is nitrite free. The normal dosage rate for Accepta 2580 is 1300 – 2500 ppm. The system should be clean prior to application. Monitor the product concentration, pH and microbiological status regularly. Do not mix Accepta 2580 with other chemicals unless advised by Accepta technical support. For further technical assistance concerning Accepta 2580 please contact Accepta.